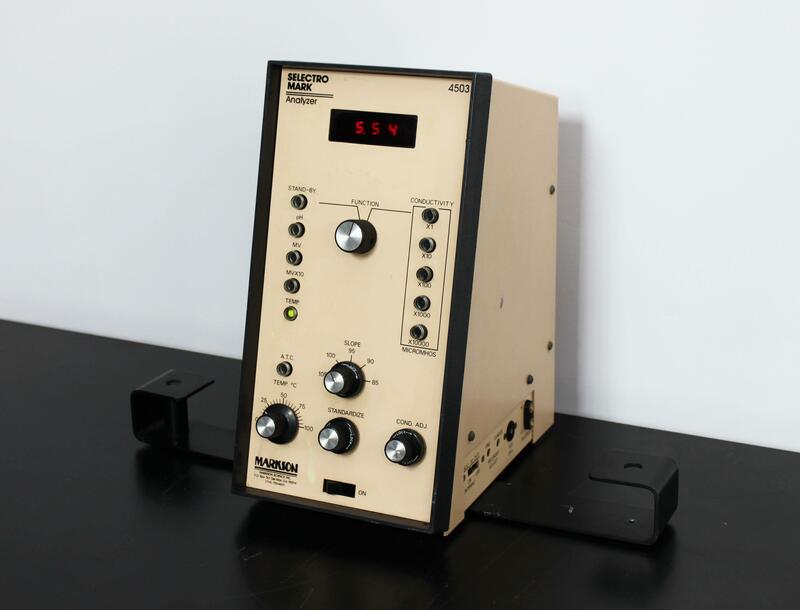 Markson Science 4503 Selectro Mark Analyzer Conductivity Micromhos pH MV MVX10 . New Life Scientific, Inc.
Our in-house technician inspected and powered on this Markson Science 4503 Selectro Mark Analyzer, confirming it to be functional. All buttons work, but the x100 and x1000 buttons will not stay pressed.